This opening line to a song that Nonviolent Communication founder Marshall Rosenberg often sang to us speaks to me so loudly about the present moment and our world. Here in the US, words that come from the heart of many people tragically land in the ears of others as painful judgments. Another woman spoke up and said, when you use the word ”Occupation, ” I feel judged. She went on to share that her family had come to Israel from Yemen and that for them the migration from Yemen to Israel was the fulfillment of every generation’s dream, their core meaning and purpose as a people. We reflected back as a group what we had heard as the deep longings of the heart that this woman expressed–the yearning for acceptance that led to her feelings of being judged and the longing for understanding and acceptance of the core dreams of her ancestors and people. And the other woman shared how her whole life’s meaning came from speaking out against injustice. Her parents were survivors of the Auschwitz death camp in Europe, and they had survived and been able to rise up as human beings from that barbarity by raising her and her siblings to always speak truth in the face of injustice. And how she cannot imagine any meaning and purpose in her life without speaking directly against the Israeli Occupation of the Palestinians. And at this point tears were flowing freely in the room as we held with one heart the suffering and longings of the Jews from the East and the Jews from the West and the Palestinians. Any energies of blame and judgment had been left far behind. And we sat together in the yearnings of all the tender wounded hearts. And this is the very mission of this movement, Women Wage Peace, to create this space inside each of us, and in this movement, and in the land to hold the tears and longings and suffering and dreams of all the people. Words are windows or words are walls. In our Nonviolent Communication trainings, we learn how to find words that are more likely to be windows because the words we find are more accurate expressions of the longings of our heart and are, as much as we are able, freed from blame and criticism and judgment. And we also learn how to put on a special pair of ears, so that even when we hear the most difficult messages, when we hear words that trigger deep wounding going back many generations, we can hear the longings of the heart instead of blame and shame and judgment. When our hearts are prepared to communicate in this way, understanding and connection are possible. And, when this level of understanding and connection arise between and among us , all kinds of new possibilities of relationships and resolving disputes and building a future together that values everyone’s needs and dreams arise. 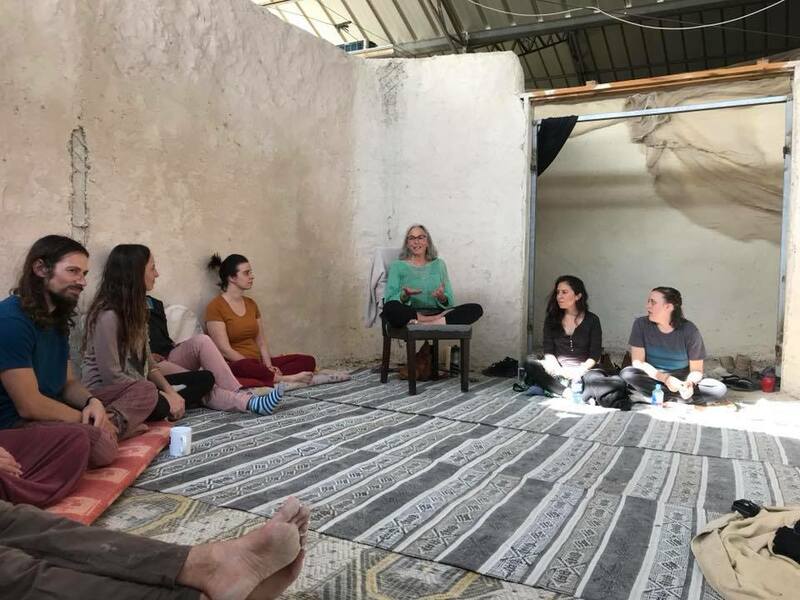 A place beyond the walls; EcoME: an experiment of living Nonviolent Communication in the West Bank desert at the crossroads of Jericho and Jerusalem . Of course it’s very hard for words to be windows and not walls when we live with physical walls between us. Over the last seven years, with colleagues and friends from Israel, Palestine, Jordan, the US, Europe, as well as Africa, Asia and the rest of the Americas, I have spent time at EcoME, the desert encampment in the Middle East where Israelis, Palestinians and Internationals have lived and gathered together to practice Nonviolent Communication, sustainable land practices, yoga, learning each other’s cultures and hosting numerous Interfaith and peace gatherings and trainings. 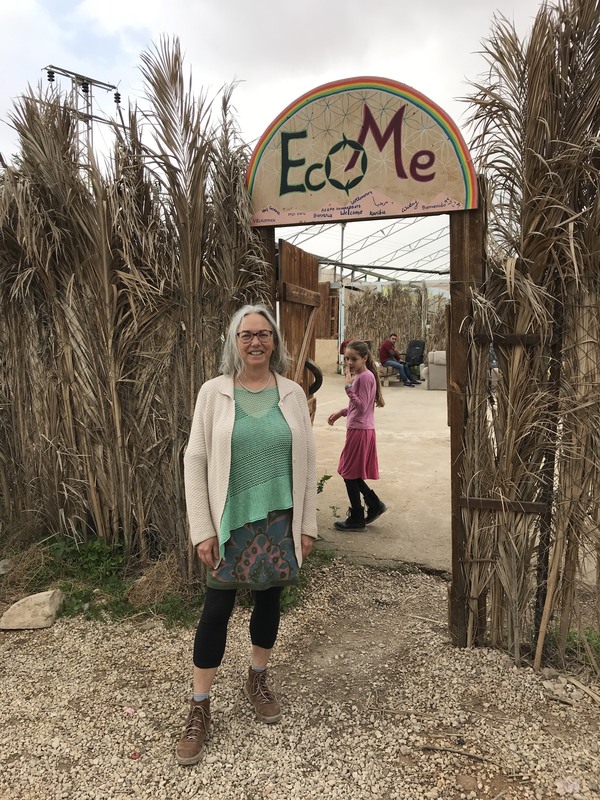 Dozens of us gathered at EcoME a few weekends ago to close this phase of the EcoME project and to begin visioning the next phase– a more permanent peace center where people can live together in the energy and consciousness of Nonviolent Communication and other human to human practices. 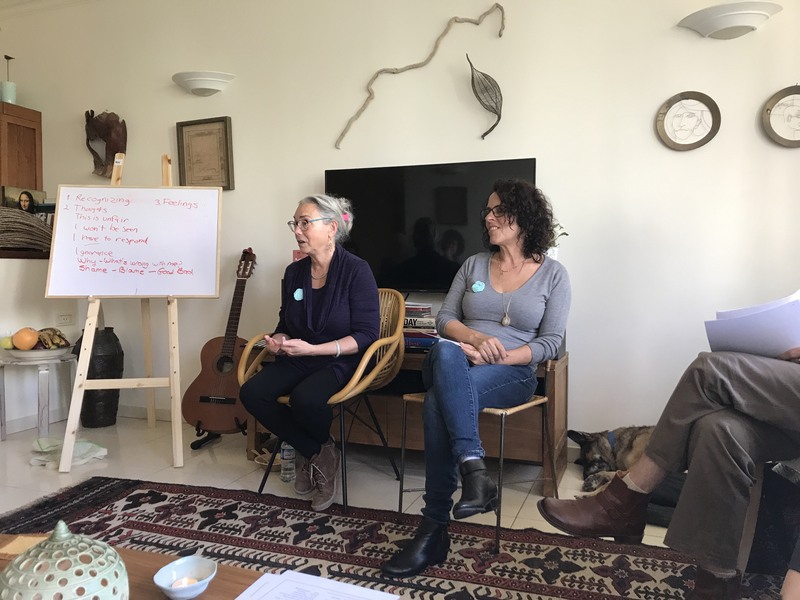 As part of the closing weekend, I facilitated a practice inspired by the practices some of us had done together earlier in January outside of Jerusalem with visiting NVC trainer Robert Gonzales. EcoME lives in me. EcoME lives in you. Tell me, how does EcoME live in you? We paired off– the founders of EcoME, the different teams of people who came forward over the last seven years to lead it and live there each season, Nonviolent Communication trainers and students, guests and supporters and community members who came back year after year, new friends and old. I was paired with an Israeli woman who told me how she had left EcoME to be with her brother, an Israeli soldier who had returned from Gaza full of guilt and shame for things he had done there during the last Gaza war. He was so shaken and lost that the family feared he would become another casualty of that war. And she shared how she was able to carry the whole EcoME tribe with her and sit with her brother day after day just holding his pain with great compassion, without judging him, and holding his humanity and slowly watching his connection to his own humanity return. 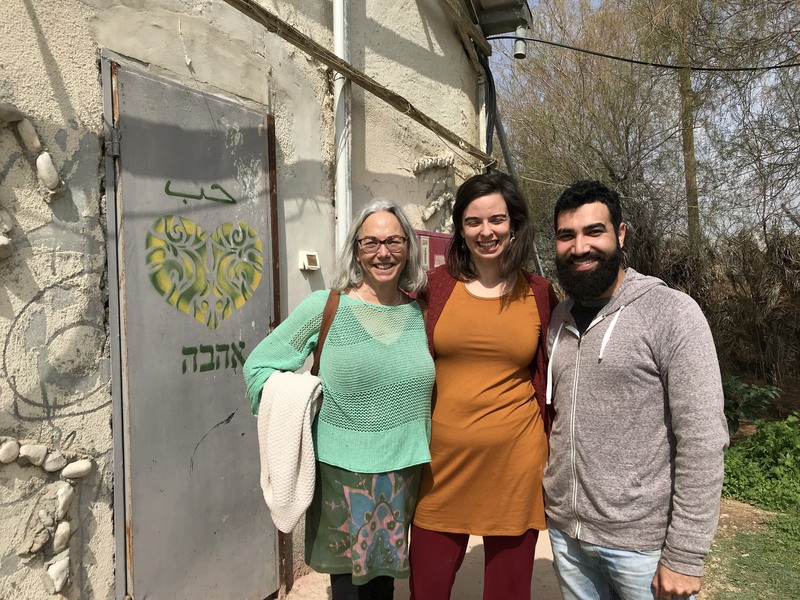 We heard from a Palestinian woman how EcoME had become a refuge for her and her brother, a place where they had the space to find themselves and come into their power in the world. This woman is now a PhD student and NVC trainer in training. We heard from an Israeli peace activist who shared that over the years he had seen how , for some people, EcoME was the edge that people crossed over to encounter the “conflict” [ between Israelis and Palestinians} face to face; And how for him EcoME was a refuge from the conflict, a place where he could be together in his own humanity and with others, Palestinians, Israelis and internationals, finding their own and touching each other’s humanity.